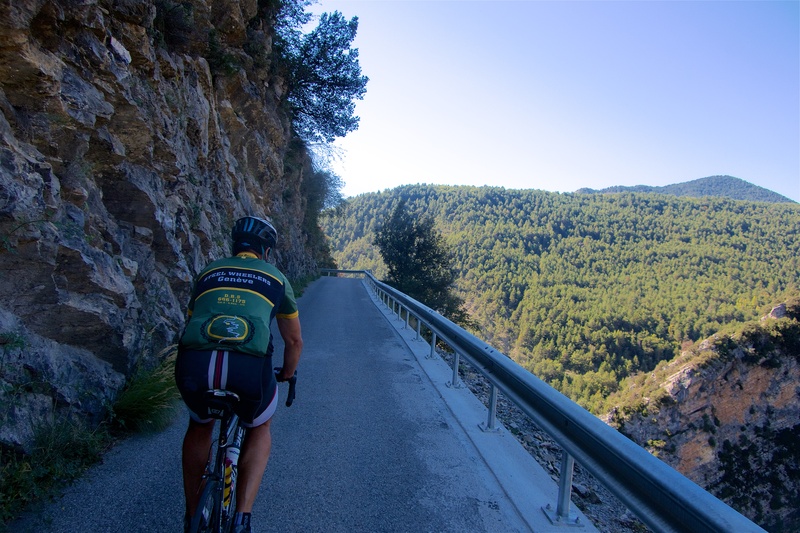 My Steel Wheeler friend Tim kindly hosted three of us in his home in Sigale (Alpes-Maritimes) for a few rides. 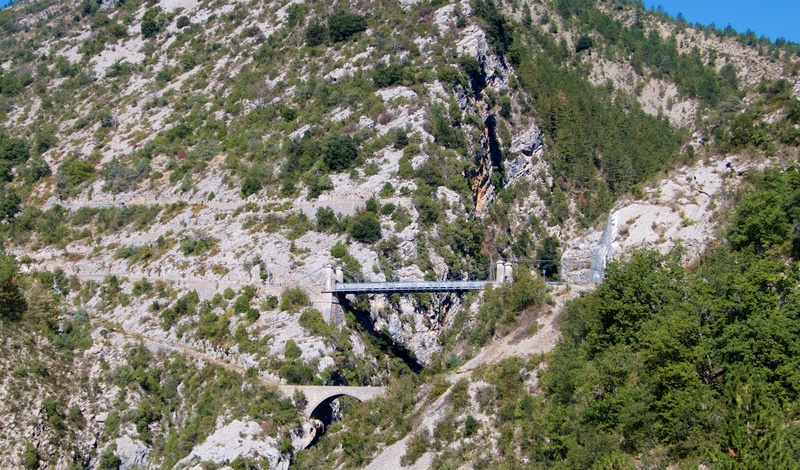 This part of the south French Alps is completely new to me. 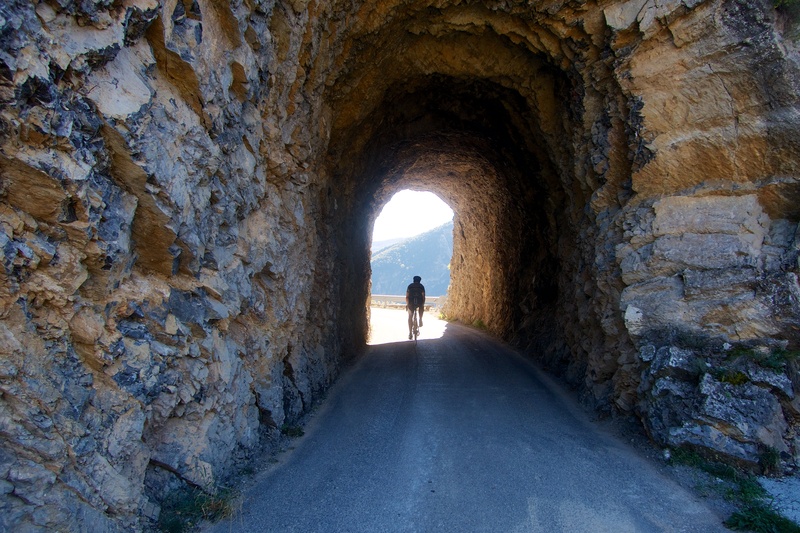 This post is the fourth of our four rides in the region (in addition to a dawn ascent of Bonette). 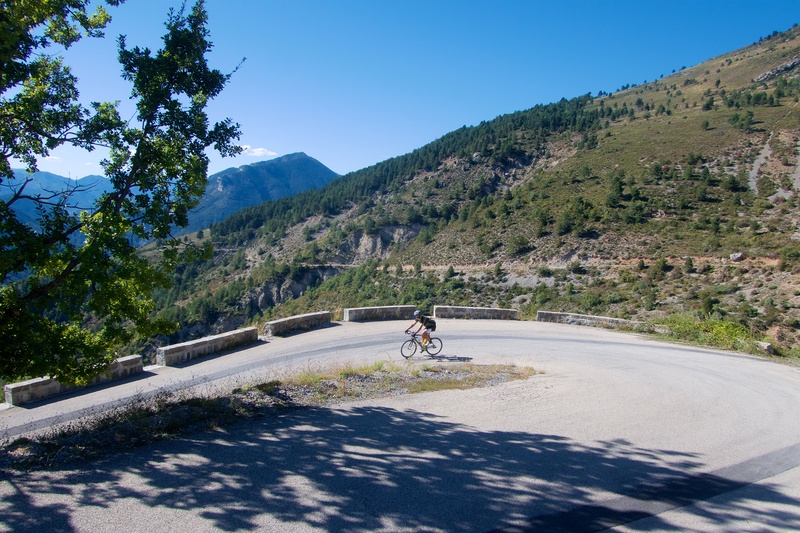 The plan: cycle two very quiet climbs beside and above the La Roudoule river and its gorge. This post is the pink route on the map below. 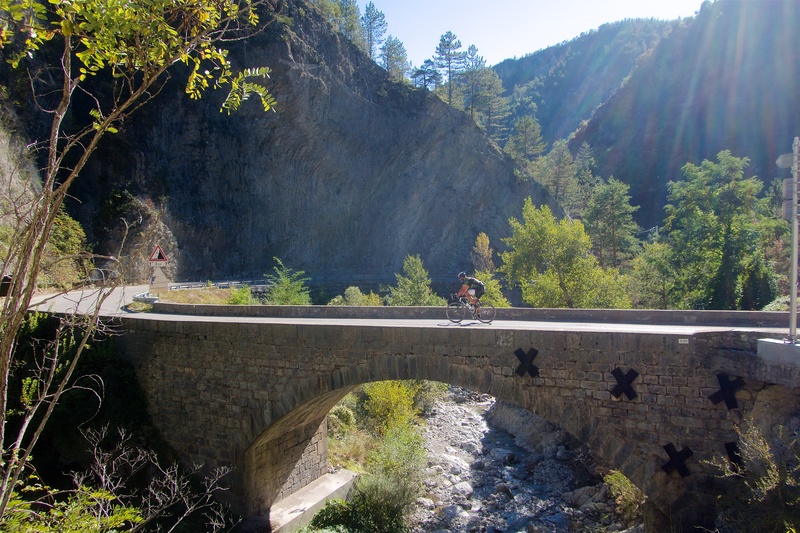 See here for the orange route: 5 cols and 3 clues. 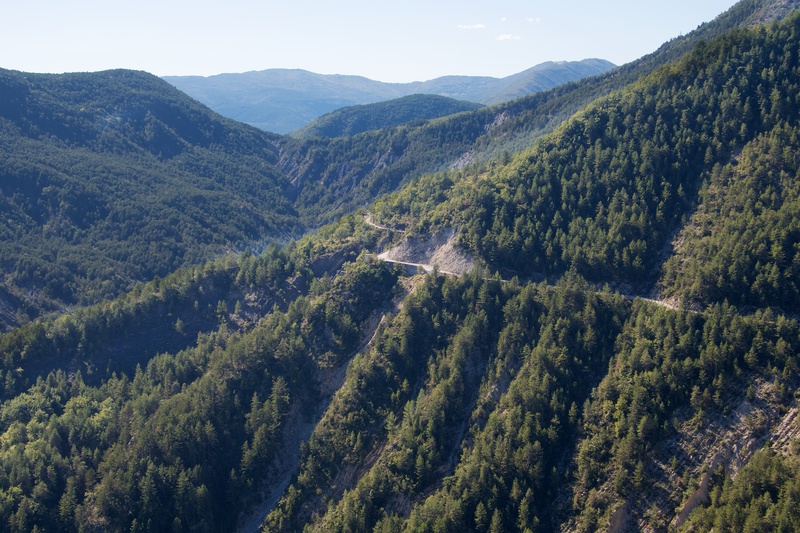 See here for the blue route: 3 Cols Trébuchet, Buis, and Laval. 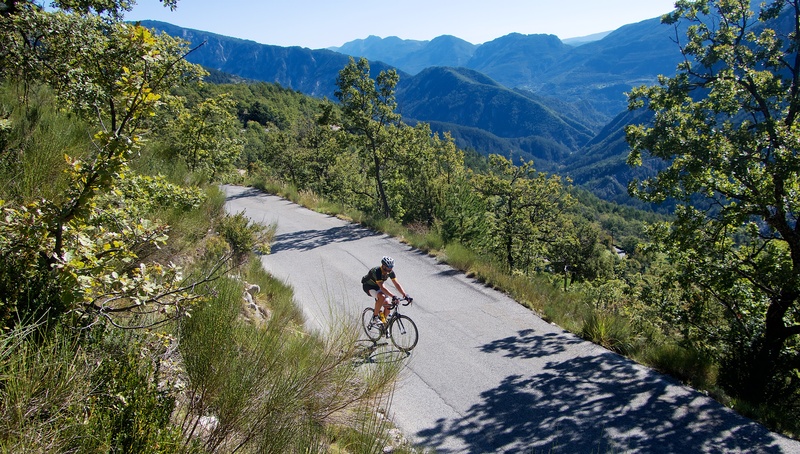 See here for the red route featuring the amazing Mont Vial. Alfie and I had a long drive home, but we decided to get a good start to the day with this ride starting in Puget-Théniers. I know, I know, I’ve been repeating myself a lot on recent posts. But yet again another very quiet, pretty climb. 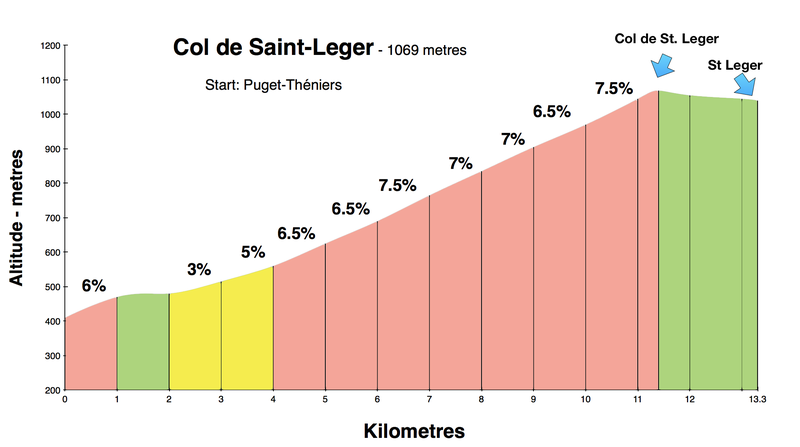 As the profile shows, Col de Saint-Léger is a couple of kilometres before the perched village of Saint-Léger. At the village the paved road ends so we turned around and descended. 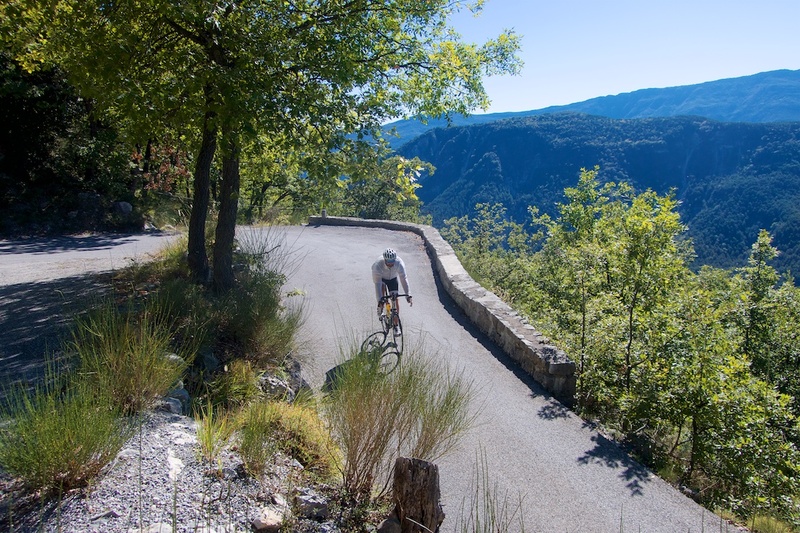 Our original plan was to ride back down the start and cycle up to Auvare, but we could see across the valley the perched village of La-Croix-sur-Roudoule and decided to visit. This was a great choice. It’s not far, but very pretty with a fun tunnel. Just below the village we saw a turn-off labeled as a piste communale (4kms to Auvare). Basically, an unpaved short cut to the summit of our second planned climb. It was gravel, and checking altitudes I guessed it to be a roughly 6% average ascent. After some discussion we decided to “brave” the surface on our road bikes. It turned out to be fully ride-able. Superb. Wooohoo. 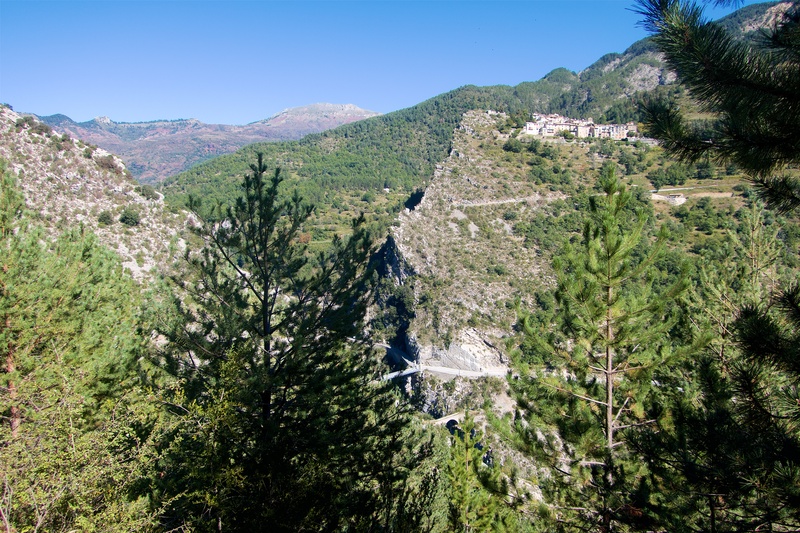 After reaching the paved road, it’s only a brief cliff ride to the perched village of Auvare. It looks like a fantastic trail-head for higher hiking, but the road ends there. 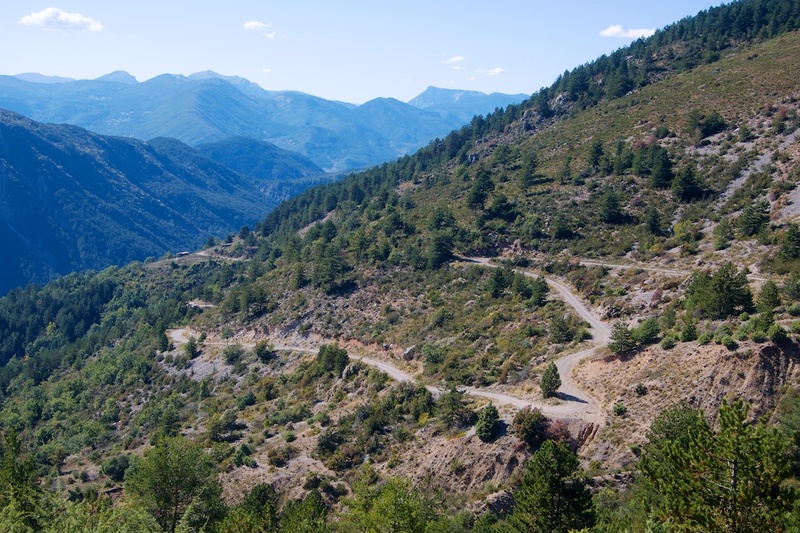 Thus, we would descend the main hairpin-filled road back to the start. But I’ve included the profile below. 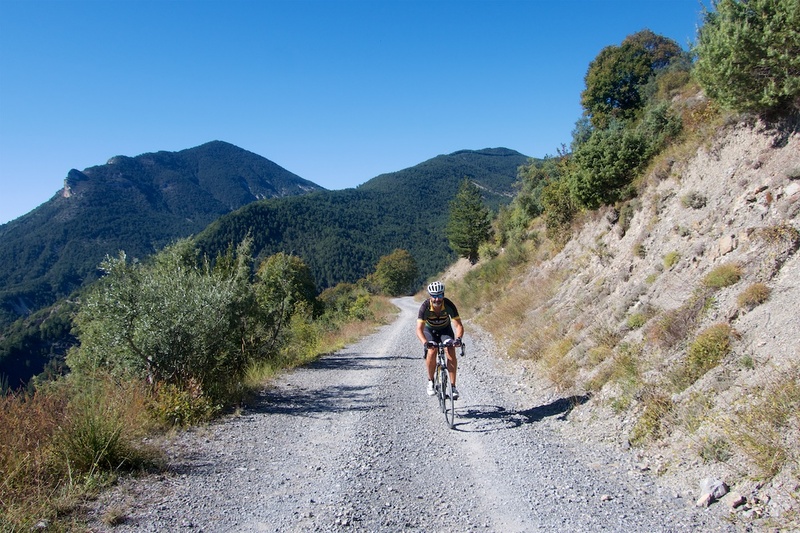 Descending from Auvare, gravel road in background. 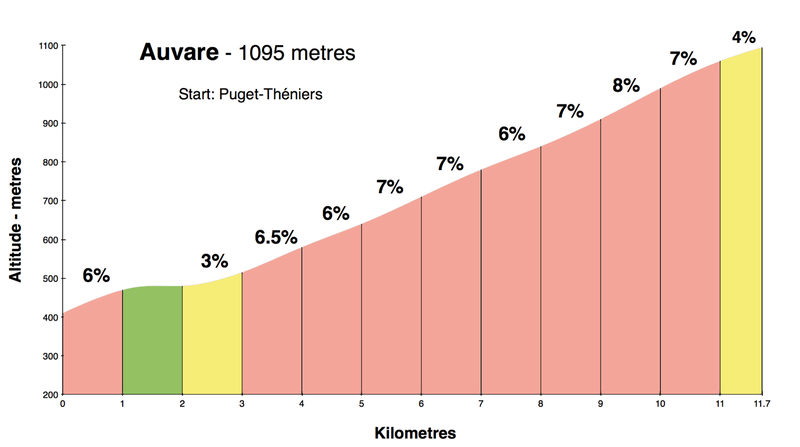 Profile for paved climb to Auvare – we descended this.